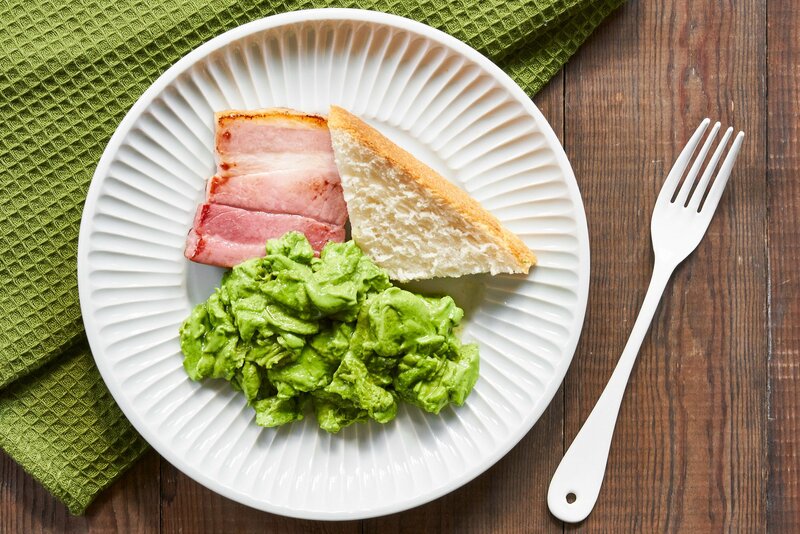 Celebrate St. Patrick's Day this year with this green eggs and ham recipe using natural matcha tea powder to give the eggs a beautiful green color and a caffeinated kick. Green Eggs and Ham is hands down my favorite Dr. Seuss book, and one of my favorite children’s stories of all time. In case you need a refresher it’s a delightfully simple book written with just 50 words in iambic tetrameter. The entire story is conveyed through dialog between the character Sam and an unnamed counterpart who’s reluctant to try Sam’s green eggs and ham. Eventually, the counterpart relents to Sam’s tenacious rhyming onslaught and agrees to try the green eggs and ham… and it turns out he likes them. 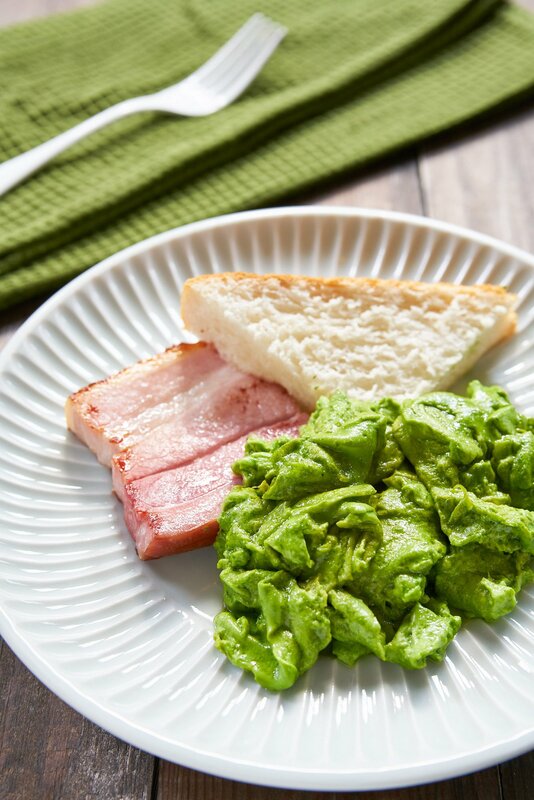 Scrambled green eggwhites and ham uses matcha powder to turn the eggs green. In the spirit of St. Patrick’s Day and trying something you might instinctively rebuff, I thought I’d give this fictional classic a go. I don’t use food coloring in my food, so making the eggs green was a simple choice between adding spinach powder or matcha. 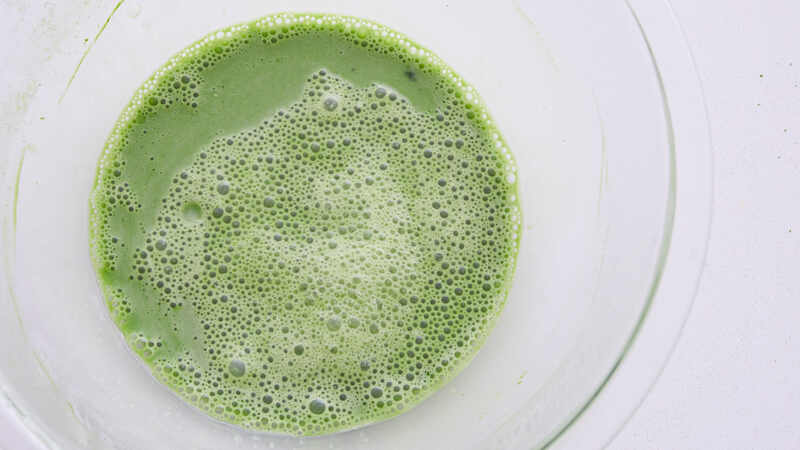 Matcha ended up being my choice, because aside from the glorious green color, the grassy matcha nicely balances the creamy eggs, and as a bonus, you get a boost from the caffeine in the tea. 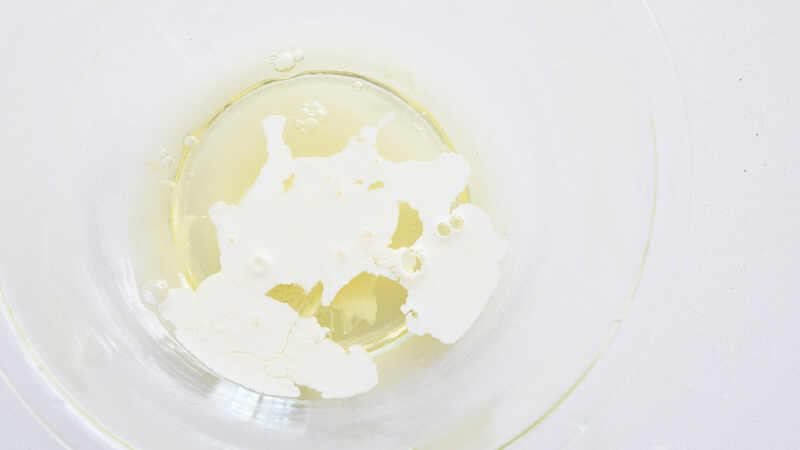 Add the egg whites, cream and salt to a bowl. Sift the matcha powder into the egg whites. 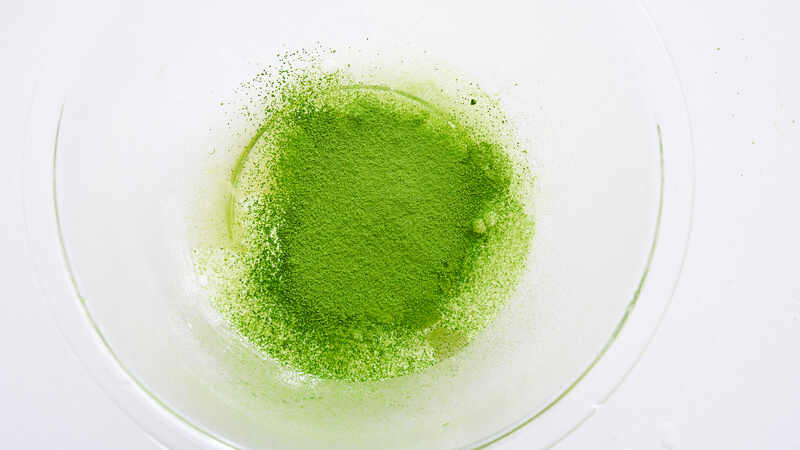 Whisk to incorporate evenly, so there are no lumps of matcha remaining (a hand blender will make this easier). In a non-stick pan over medium-low heat, melt the butter, and swirl to coat the pan. Add the eggs and scramble. You can read more about the best technique to scramble eggs here.